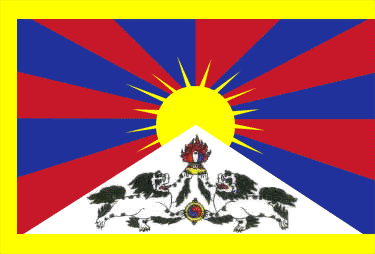 High Peaks Pure Earth – Curb on Tibetan Language Blogposts? 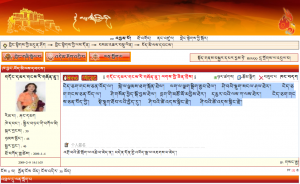 Curb on Tibetan Language Blogposts? High Peaks Pure Earth has noticed that the main Tibetan language blog sites haven’t been updated since 30th January 2009, including the blog site www.tibetabc.cn which hosts blogs from many well-known writers and artists from Tibet. It can’t be a coincidence that none of them have updated since the same day. 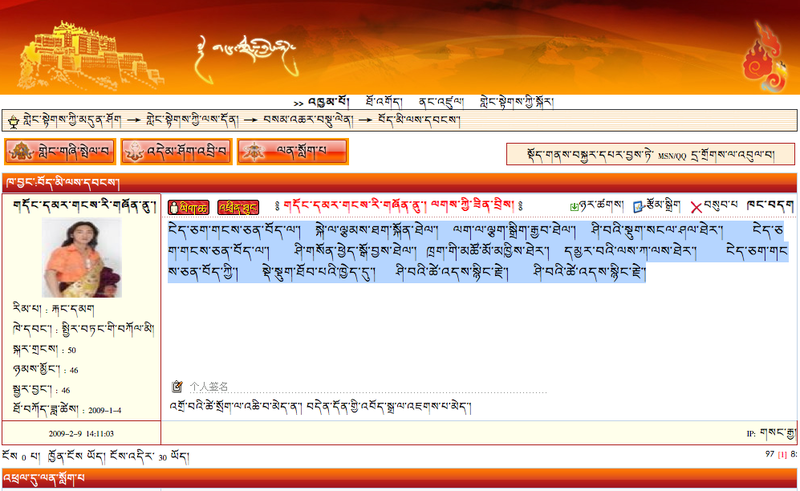 The Tibetan language forum Tibet Youth is still active, as is the blog site mchod me, but both sites carry a notice from the webmaster urging netizens not to post any illegal or political messages. However, High Peaks Pure Earth has found and translated this post from someone calling himself, Red Face, Youth of Snowland (gDong dmar gang ri gzhon nu) that was posted on 9th Febuary 2009. I can’t read them but clicking on the first link under the section headings show new content from 2/14, 2/16, 2/17. Maybe folks were busy during Chinese new year? We are referring to main bloggers, whose photos appear on the front page. Our post mentions people are still posting on forums. Our second paragraph explains this, it says that there are still some postings on two of the sites. If you go back to the site you have mentioned, the front page carries a warning. Just like in China, with the recent closure of some important blog sites, it does not mean that everything is shut down. There are simply fewer posts.